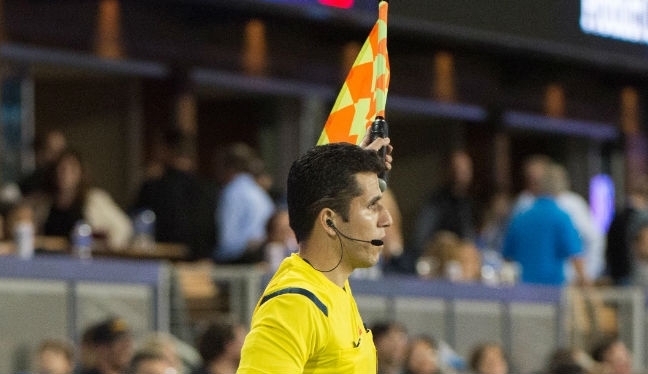 Eduardo Mariscal has achieved a “lifetime goal” after being named as one of four assistant referees from the Professional Referees Organization to have been appointed to the FIFA panel. Oscar Mitchell-Carvalho and Ian Anderson also made the list for 2017, while the other was Eduardo’s twin brother, Apolinar. The Mariscal duo join sister Felisha on the panel, and Eduardo says the family connection makes the achievement all the more special. “It has been a long celebration in our family,” beamed Mariscal when reflecting on the call-up. “This adds to the strong bond that we have as we can all share this new challenging and exciting experience. This will make us stronger. Mariscal has spent the past 16 years working his way to the top of the ladder, but he has quickly made his mark since debuting in MLS during 2014. After five regular season appointments in his first campaign, that became 12 in 2015 and 18 last time around, along with a first taste of the MLS Playoffs. The assignment to the FIFA panel was the biggest of all, though, emphasizing his remarkable progress. Mariscal is honored and privileged by the recognition, which ticks off one of his all-time goals as an official, and is more than ready to commit himself to the challenge that lies ahead. “I have been working for this for the past 16 years,” he continued. “This has been one of my lifetime goals, and it is definitely something to be grateful for. “I am very happy with my progress, I have tried to learn as much from referees, my family, coach mentors – from everyone I can. I know there is still a lot to learn as there is always room for improvement. “I need to keep working hard so that I can be prepared for this next step. I understand that with this nomination comes greater responsibilities, and I will work hard to live to those standards.